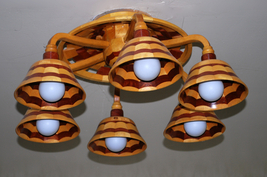 The cups and wheel base are all segmented turning. 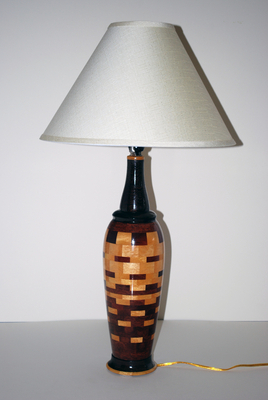 These segmented lamps are made of a series of rings stack glued and then turned on a lathe. 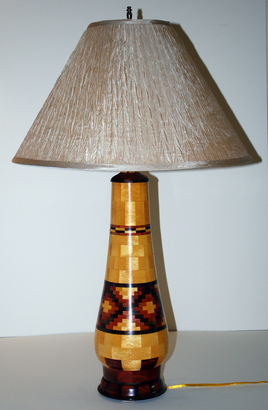 250 pieces is not uncommon for these lamps. 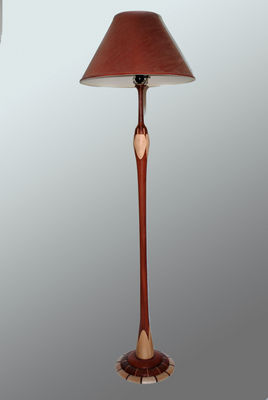 The turning is made of Maple and Jarrah. Wall lights can be hardwired into wall or can be plug into a wall socket. The switch is hidden in the column. 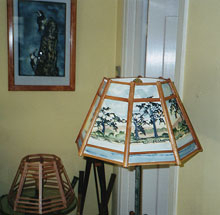 This lamp was made with the collaboration or a stain glass artist. 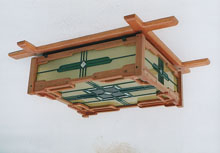 The frame is Mahogany. 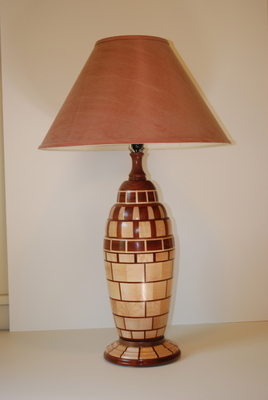 This lamp is a smaller version of the one below and both were custom made for a client. 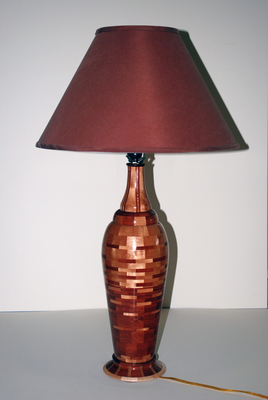 Floor lamp made with Lacewood, Jarrah and Wenge. 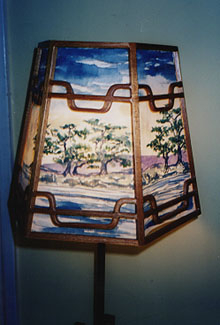 The shade is made of Mahogany and rice paper.